Lately I've been doing some art with friends or, thanks to Kristen, "social crafting"...I love that term! It's a great way to spend some time learning (or teaching) a new skill while hanging out with friends for some fun. It's also been a way to keep my new years resolution to spend some time each week doing art just because I want to! Last Friday a friend and I got together to try our hands at some needlefelting. As we were pretty much completely new to the craft, we started by buying a couple of kits from Woolpets on Etsy. 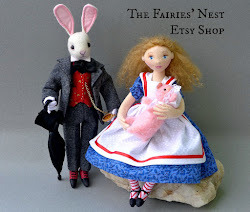 They were everything you could possibly want in a new craft experience; lots of supplies, great instructions,...and she shipped them incredibly fast! I highly recommend her shop if you're as new to this as we were, it rocks! I've also gotten a group of friends together that meets every couple of weeks to craft ( I had mentioned I was thinking about doing this in my previous post...rant...on the word "craft") and so far it's been terrific fun. I've been teaching them to knit, which is actually pretty hilarious since I'm a mediocre knitter at best, but none of the rest of them can knit at all so, by default, I'm teaching! Whee! Have you tried your hand at social crafting lately? If so, tell me about it, and if you haven't, give it a try! See you next month...Spring is almost here! 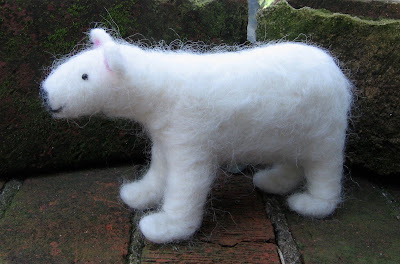 That polar bear turned out great! i love needlefelting! I used to be part of a group that met once a month to craft together. Unfortunately it died. Sniff! I have to blend out words such as fascinating, mesmerizing, stunning and enchanting as well just to describe your blog. I would be honored not only with a single visit but also with the possibility of having your name on our friend's group. That's a great idea. I actually love learning from kits. 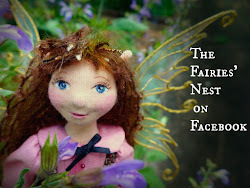 Needlefelting makes a great project that can be finished in one afternoon or evening. I've just started needle felting myself and it is so much fun! Current project is felting through a stencil onto a felt square for maybe a future purse or pouch. If you haven't tried it yet... it's pretty cool. Wish I could join in - I so want to learn to knit! I love the polar bear and kitty - very sweet! Social crafting is an amazing idea and one I may well put to a few friends :) Thanks for the tip and the polar bear and kitty are gorgeous. 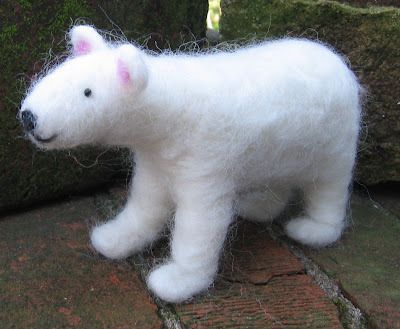 I totally love needle felting and find it very calming. I have ordered before at woolpets and the kits are just superb! Last Saturday I did a crafty meeting with 2 other girls and it was so much fun. We even went to a Pechga Kucha night! http://www.pecha-kucha.org/ To get some new inspiration. Much better then sitting and crafting alone for sure!! You must see if it is also in your area. Oh I LOVE THESE!! Thank you for posting their pictures, which are heart-grabbing. 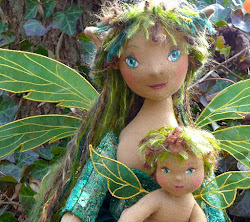 Love your faeries too. They fascinate me. Please check out (they should have it in the library) my new book Toad Cottages & Shooting Stars. In it I have faerie gardens, faerie furniture, and faerie mailboxes. I just needed one of your creations to make it well rounded. Keep up your wonderful creating.